The SS design has cushioned Heal, Toe and Sole. Instep strip is also cushioned for racheting and lace up shoes. 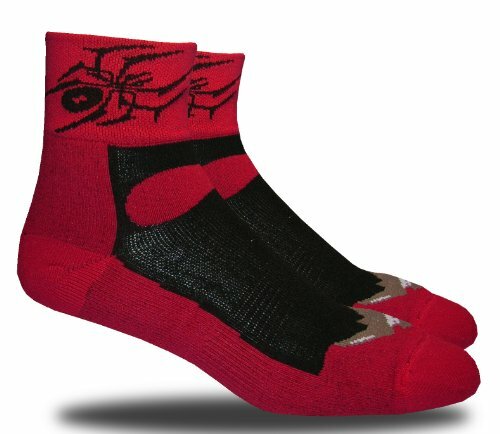 We feature a deep Y heal so our socks will not slouch like others. Mesh exhaust top, large 2" arch support and seamless toe for extra comfort!